Work has been crazy busy for me during the first quarter of 2014. I work in the not-for-profit world and it just seems that everything happens in the first quarter. Things from our annual audit to major grant proposals, it is just a crazy time. So, with all the stresses of work, it is nice to come home, light up a cigar, and let the cares of the world fall off of my shoulders. The weather has been mostly cigar friendly making it even easier to find time to light up. If I am grilling up dinner or watching the kids play in the yard I try to sneak in a cigar. 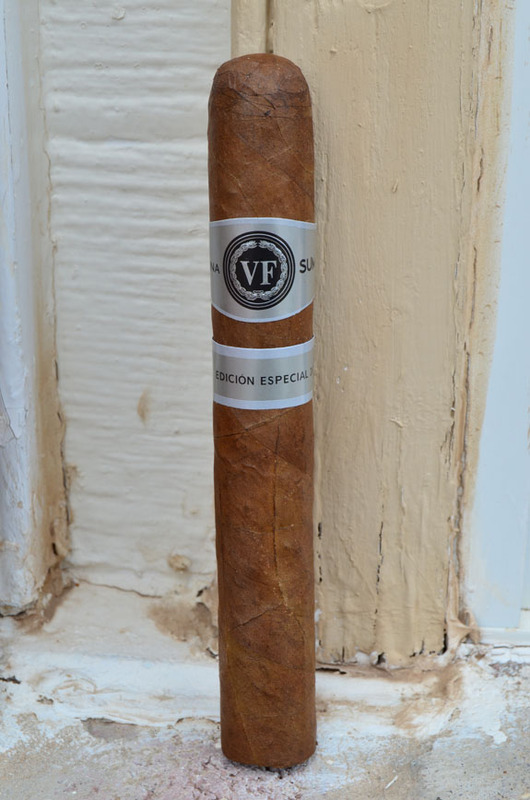 A cigar I’ve been able to smoke a couple times this past week was the VegaFina Sumum Edicion Especial 2010, which I will be reviewing for you today. Atladis U.S.A. is expanding the once-limited VegaFina Sumum Edicion Especial 2010 to include three sizes. The company has announced that in addition to the original 5 x 54 size, a toro and 6 x 60 will be added to the line and the cigars will begin shipping this month. 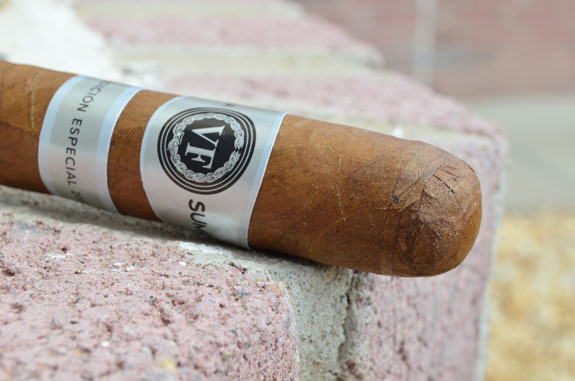 The Sumum was introduced in 2012, using tobaccos from 2010, as a way to reinvigorate the VegaFina brand to the U.S. market. 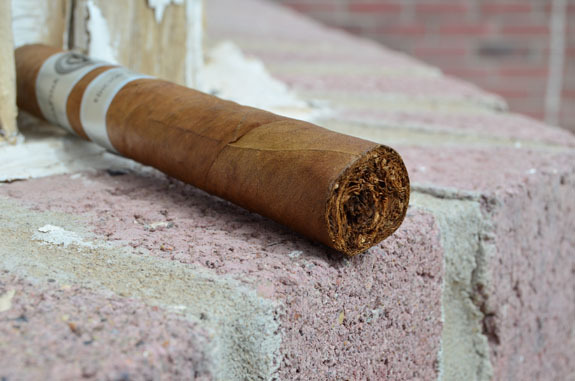 Altadis U.S.A. says the blend is composed of three-year-old fillers from the Dominican Republic, Nicaragua and Peru, a three-year-old Dominican binder from Santa Domingo and a two-year-old Cuban-seed wrapper grown in Ecuador. This is consistent with the details disclosed for the original release. While the original Sumum Edición Especial was offered in 10-count boxes, all three sizes of the newest release will ship in 16-count boxes. Pricing is set at $6.80 for the original 5 x 54, $7 for the toro and $7.65 for the 6 x 60. Samples Provided by Altadis U.S.A. 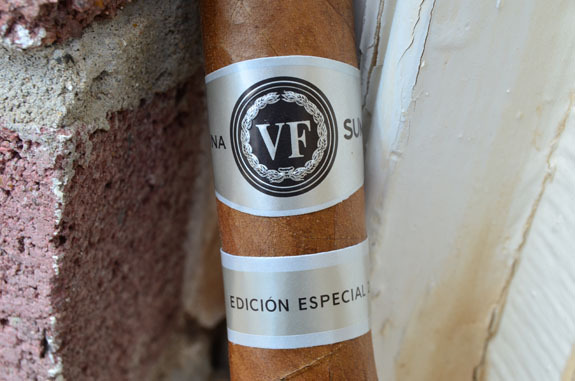 The VegaFina Sumum Edicion Especial 2010 Ecuadorian wrapper leaf is mostly consistent in its medium tan color that contains a couple medium sized veins running from the foot to the head. The cigar feels velvety smooth to the touch as I search for soft spots. The wrapper exhibits a faint pungent aroma with notes of raisin, cedar, and chocolate The foot of the cigar shows off a deep, rich chocolate and cedar. The foot gives slightly more when pressed than the rest of the cigar, but as I visually inspect it the Sumum seems to be fully packed. A couple of thin cuts are needed to cut through the triple cap that is covering the firmly packed head. I am able to taste the dominant chocolate and cedar on the cold draw that is extremely rich with exotic spices of clove and cinnamon. The Sumum Edicion Especial 2010 is starting with some bitterness, similar to the bitterness I get on Connecticut shade wrapper. Behind the bitterness lies some dark cedar and pepper notes. A medium level of spice can be felt as I push the smoke through my nasal passage. The eyeliner burn-line is a little uneven but of no concern. The light gray ash is holding on well but somewhat flaky. As I progress into the second third, I am feeling some irritation in the back of my throat and the smoke is leaving my mouth a bit dry. 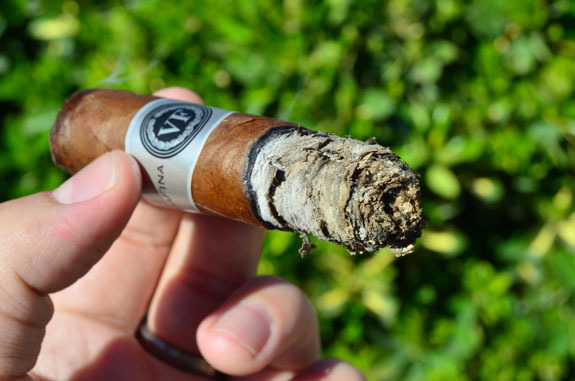 The bitterness has developed more into a charred wood flavor and there is an extremely earthy quality to the smoke. The chocolate I got on the pre-light aroma and cold draw is peeking its head through but the combination with the charred notes is not working well. As I increase the amount of time between draws, I notice that the charred notes fade and a richer cedar shows off. Without the charred flavor, the chocolate is really shining and the flavors are finally balancing. The spice has picked up in the final third and the cigar has become almost meaty tasting. The burn line has remained wavy through the entire stick but I have not needed to pull out out the lighter for any touch-ups. I am finally feeling a bit of nicotine as the cigar winds down bringing the strength into the medium/full range. 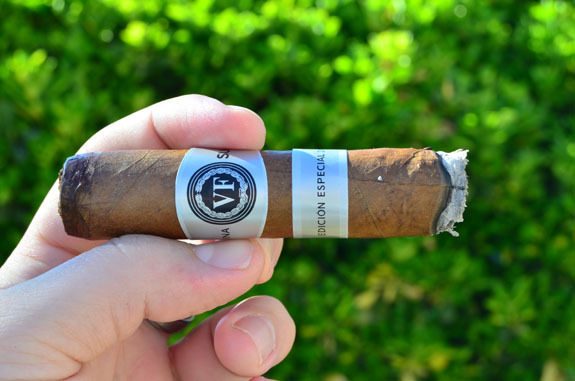 Tony reviewed the Sumum Edicion Especial 2010 5 by 54 about a year ago and was impressed with the blend stating “the cigar switched up quite a bit, which kept me on my toes, while the flavors were very good, and complex enough to keep me thinking…It’s a great cigar to have in your regular rotation and I can only hope that Altadis produces more cigars like this one”. My experience was probably on the opposite end of the spectrum. The first and second third just did not do it for me, but at least the final third delivered some good, balanced flavors. It just wasn’t enough to redeem the cigar. 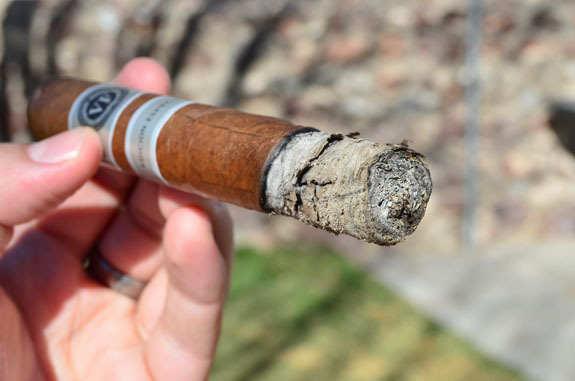 The cigar performed okay with a slightly wavy burn line and the firm, flaky ash. I would like to smoke through the other vitolas to see if I get a different experience before I recommend this cigar to others. Jeremy, I’ve picked up that charred taste in some cigars I have smoked recently, and thought it might just be me, but I notice that you have also experienced this in more than one stick. I wonder what’s going on with that? I had been interested in this line since reading Tony’s review, but never saw it around here; now I’m not so sure it will be much more than an impulse purchase. Thanks! It has been weird that I’ve been picking up that charred flavor as of late. Maybe the change of seasons or my palate being off. I am not sure. Tony was excited to have me try these sticks since he enjoyed them quite a bit. Not sure if my experience was so different bc of the vitola or the change in tobacco from year to year. Like always, thanks for reading the review and commenting. Hope all is well with you.